SAGE is an international, leading publisher of groundbreaking textbooks, highly influential journals, and innovative, cutting-edge resources and tools in psychology, psychological research, and related fields. Known for our quality content, our textbooks, reference materials, and journal content span the curriculum and represent the work of leading minds in the field. 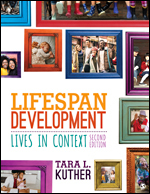 In the Second Edition of her award-winning, chronologically organized text, Lifespan Development: Lives in Context, author and teacher Tara L. Kuther explores the dynamic interactions between individuals, our genetic makeup, and the diverse contexts that shape our growth and development at every stage of life. With a clear and approachable writing style, Kuther integrates current research findings with foundational, classic theory and research to present a comprehensive yet concise introduction to the field. The Process of Research in Psychology employs the pedagogical approach of spaced repetition to present a student-friendly introduction to conducting research in psychology. 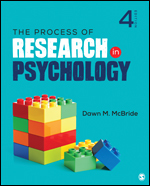 Drawing on more than 17 years of teaching experience, best-selling author Dawn M. McBride covers topics with step-by-step explanations to help students understand the full process of designing, conducting, and presenting a research study. 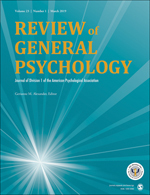 The Review of General Psychology is the official publication of the Society for General Psychology, Division 1 of the American Psychological Association. The Review of General Psychology publishes theoretical, conceptual, and methodological articles that have a range of foci, including human subjectivity, historical, theoretical, or critical studies of psychology, and global, international, or indigenous perspectives on general psychology. Articles may draw on the psychological sciences and/or the psychological humanities and may contribute to dialogues with cognate fields in the social or human sciences, including science and technology studies.